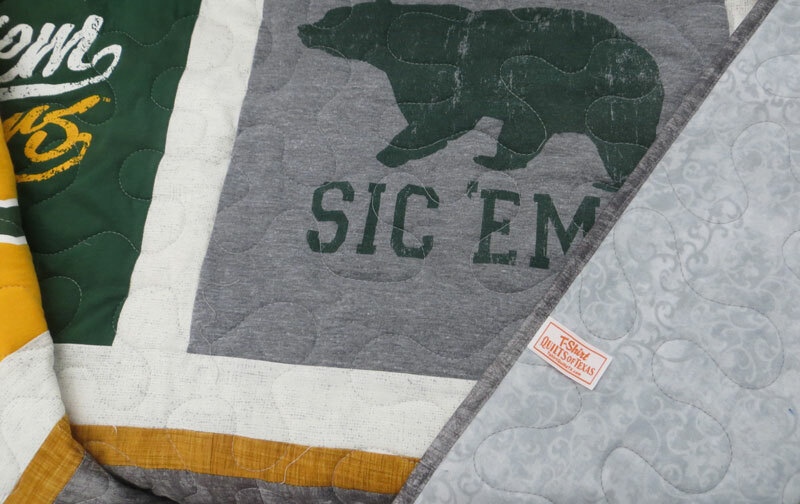 THE Premier T-Shirt Quilt offered on the internet is from T-Shirt Quilts of Texas. 1. first in importance, order, or position; leading. WOW! What a claim you say. We invite you to compare us with ANY other proclaimed t-shirt quilt/blanket maker out there. We promise that you will get the best value and best quality. No, we aren't the cheapest (blanket) maker, nor are we the most expensive. Read "Tips For Selecting A T-Shirt Quilt Maker" for more details to help you decide. Click HERE for a FREE worksheet to download to make your comparisons. We always offer two borders, sashings and cornerstones on all of our STANDARD quilts. We even offer an unheard of THIRD border for a mere $25 for any size quilt. NO ONE else out there offers this for a reasonable price. The image above shows both the 3rd optional border and the flannel backing upgrade. 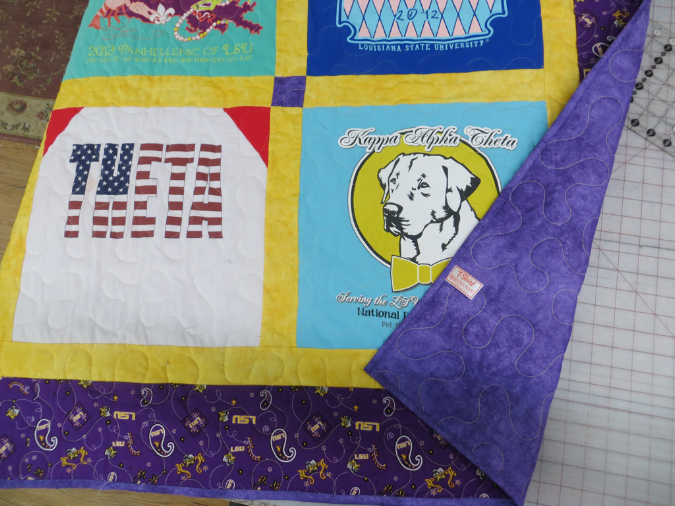 Over the next few weeks we are going to feature several types of custom quilts that we offer. Be sure to download our FREE E-Book "T-Shirt Quilt Buying Guide". Although we should call it "PREMIER" T-Shirt quilt, we call it "STANDARD" because we only offer high quality quilts.